Cameroon is working on land reforms that could offer a lifeline to the Mbororo people. As land use intensifies, the nomads are increasingly subject to persecution and attacks on their cattle. 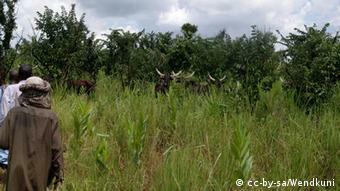 Adamou Harouna’s herd of cattle grazes on lush green vegetation in Ndop, a small village in Cameroon’s northwest. The cattle herder is one the country’s 2.5 million Mbororo people. However, Harouna’s traditional way of life is becoming an increasing problem for local farmers. And his is not an isolated case. Across West Africa, ever more land is being used for large agricultural farms, and landowners are competing for scarce fertile lands. Soon the planting season will come, and Harouna will have to move his cattle away from the local farms. 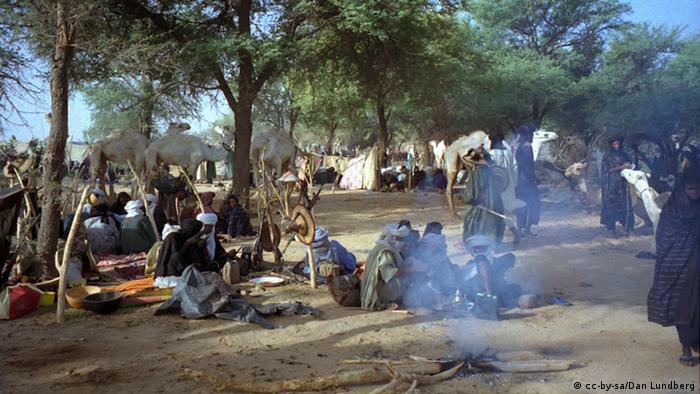 When the Mbororos first came to this area almost a century ago, the region was ideal for their nomadic lifestyle. There was plenty of grazing land and enough water for the cattle. Like Harouna’s family, many settled in the area, and moved their cattle from field to field on the basis of weather and feed. “When [the Mbororo] first entered these fields, there was no particular problem. The local chiefs invited them to come,” says Bouba Hawe, women president of the Mbororo Cultural and Development Association [MBOSCUDA]. In the meantime, the area’s population has multiplied tenfold. And as more and more land has been transformed into farms, the Mbororos have found themselves faced with diminishing space for grazing. That has led to violent clashes with land-owning farmers. 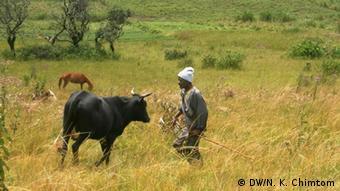 Harouna says his cattle have often been attacked and killed by locals. Despite their long history in the area, the Mbororos are considered outsiders, and they still don’t own the land they live on. The group complains that other Cameroonians see them as sub-human. “Before the nomadic herders came to this place, we were already here. Our forefathers were here long before they came. I don’t know why they really think that we must give them room for accommodation,” says Humphrey Ngu, a Ndop farmer. Bouba Hawe says that the Mbororo people should not be forced to move since they have lived here for so long. They would be better off if they too owned the land they rely on. 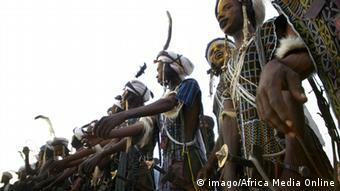 Yet the Mbororos, who are often equipped with little education, find it hard to get titles to the land. Hawe’s own personal story attests to that. “My father struggled for two decades before he could obtain a land certificate for where we are settled,” she says. But there is hope in sight. Cameroon’s government has begun consulting with civil society organizations to review the country’s pastoral code. The proposals they’ve been working on would give the Mbororos the right to the land they have been using and ease the procedures for obtaining titles. Revising the country’s pastoral code falls within the larger framework of land reforms that are underway. The legislation dates back to 1974 and need to be reviewed, says Fon Nsoh from the Cameroon Movement for the Right to Food. Ministry officials have said that parliament will debate the draft legislation this month. Harouna is hopeful that, should the bill be adopted, he can at last lay claim to the land he and his family have occupied for decades. But until that happens, he continues to live in perpetual fear of attacks from farmers.